Technology is valuable, but must be advanced with great wisdom and caution. 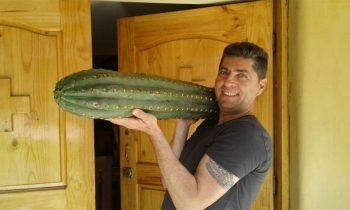 In my recent book, The Mescaline Confession , I wrote a chapter about a stark vision I one day received from the Huachuma cactus, warning of a future in which our own technology will devour us. Huachuma, also known as San Pedro, is a sacred cactus native to the Andes which is shamanically used in Peru and has been for thousands of years. Its active ingredient is the alkaloid mescaline, which was made known to the world by Aldous Huxley in his book The Doors of Perception . Technology, the cactus told me, is not our God — it is our servant. Technology itself is a tool that is neither inherently good nor bad, but technology without wisdom is weaponized stupidity. Recently, I stumbled upon a profound essay that echoed these revelations quite closely, Why the Future Doesn’t Need Us , published by Bill Joy in Wired magazine way back in April, 2000. Primarily about the potential dangers of giving artificial intelligence (AI), robotics and nanotechnology greater autonomy and control over their given roles, it also critiqued the rabid transhumanist movement, a giddy group, hell-bent on merging our bodies and minds with computer technology in a quest for god-like, never-ending life. What these people fail to realize is that our short time here already can and does lead to immortality of much greater value, that living and dying cannot be easily separated, and that ancient technologies for understanding the absolutely essential nature of life and death have existed for millennia, upon the very ground on which we stand. Then quite rudimentary, transhumanism has come a long way in 19 years, attracting growing numbers of devotees seeking to “improve humanity” (but really just their own) by embedding and/or replacing their bodies more and more significantly with tech, making us “better” and even — their primary goal — “immortal”. Joy’s piece has only become more relevant as we stampede toward the unknown consequences of bio-technological integration. John Carpenter demonstrated this in his movie They Live , which he wrote and directed in 1988. Ostensibly a science fiction/horror film, it shows a reality in which the ruling class are an alien species, concealing their appearance under human form. Their true, hideous faces and ruthless manipulation of human society could only be revealed through special sunglasses, devised by an underground resistance. These fresh eyes also exposed subliminal messages embedded in the cultural landscape, demanding that we OBEY, CONSUME and CONFORM. Leaving the notion of aliens to sci-fi, we do truly live beneath such a deceptive veil. The cultural hypnosis remains rather vivid to those wearing the actual “sunglasses” readily available to all — plant medicine. Besides the growing mechanisms of societal control, as in George Orwell’s 1984  and Aldous Huxley’s Brave New World , there is another theme which becomes apparent the moment you put on the sanity lenses. You begin to see the rise of mental illness and the legitimization of insanity. Political correctness used as a tool for coercion is often applied to this task. People are used as pawns in social experiments, unwittingly herded together as a doped, human shield against sanity. Psychology misused can become a psychological bio weapon, targeting people from within to turn them against themselves and others. This zombification is happening on a grand scale right now, but the tools with which to do it are becoming more powerful. The forces behind this are a whole other question, but the fact that our modern world is nurturing madness with increasing precision is obvious and beyond all argument. 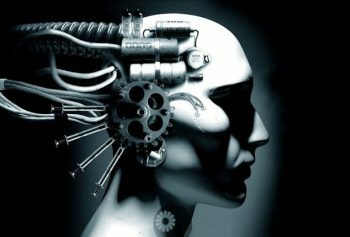 Transhumanism wouldn’t be a big concern if prominent tech people such as the figurehead of the movement, Ray Kurzweil, were not involved. Obsessed with transhumanism, Kurzweil is a leading voice in futurism and development, having invented the digital scanner and made many accurate predictions about the course of computer tech. He currently runs Google’s machine learning program. In his article, Bill Joy recounts an interaction with Ray in a hotel bar, where the latter gave him a partial pre-print of his then forthcoming book, The Age of Spiritual Machines . It outlined a utopia he foresaw – one in which humans gained near immortality by becoming one with robotic technology. Reading it, his sense of unease only intensified; he felt that he understood the negative potential of this “utopia”, understanding the probability of a bad outcome along this path. It seems unlikely, for example, that transhumanists have given much thought as to what life would be without death. In my first book, Path: Seeking Truth in a World of Lies , I recounted my near-death experience in Mexico in 2008, during a peyote ceremony. Numerous deadly scorpion stings on my thighs took me very close to the precipice between life and death during the three hellish days that followed. I believed that I was dying during much of this time, giving me a deep insight into the vital, inextricable relevance that our inevitable death has to life. Death, I learned, is my friend: the overarching motivator to truly live. Without death, I realized, we wouldn’t seek to achieve the things that we do with the urgency that our brief existence in this world demands. Life’s vibrancy is in fact dependent on its inescapable demise. Death makes us human. The delusion of digital utopia provided by AI has raised concerns in many people, among them the firebrand technologist, Elon Mask, but his solution may lead to deeper problems. In a recent appearance on the Joe Rogan Experience, when asked about the danger of AI, Musk responded that he’d warned influential people, including then US president Barack Obama, of the dangers inherent in advancing the technology — that it’s the genie in the bottle. His warning sadly fell on deaf ears. This, he indicated, partly inspired the creation of his new company, Neuralink Neurotechnology, in order to develop an implantable brain – computer interface. Through symbiosis with artificial intelligence Musk believes we might withstand the existential threat to humanity posed by unchecked AI, enabling us to compete — or at least keep up — with our mysterious new silicon children. Musk believes that the merging of humans and machines is inevitable, saying that if we cannot stop it, we should join it. Joy asks in his article, “Given the incredible power of these new technologies, shouldn’t we be asking how we can best coexist with them?’’ Musk’s answer is to become, at least somewhat, more like them. Think about that, honestly… As morally upright a human being as you may be, have you not had thoughts that, if exposed, might have ruined your relationships or social standing? Wishing your neighbour ill, for example. Many if not all of you have thought such “evil” things, some time, under certain circumstances. How many more such dark ideas might you be suppressing beneath your consciousness? As it advances, Neuralink mach 2, 3 or 8 will learn to see them, regardless. It would be foolish to think we could keep our neuralink just between us and our PC. Even now, your phone transmits all manner of information, from your very location to your favorite color to your heart rate. Perhaps as soon as 2024, five years from now, our least compassionate “superiors” will possess a more powerful tool to find and prosecute “thought crime” than Orwell dared to imagine in his 1984. The more of us that experience the loving awareness provided by the whole plant Huachuma, the solution that I have found, the stronger our collective sanity becomes. MAPS, the Multidisciplinary Association for Psychedelic Studies, and other organizations like it, are growing in size, respectability and influence. After countless years of spiritual human-plant connection — briefly paused by the rise of a relatively recent, consumerist machine — the plants are finally making their way back to the main stage. We can only spread the word and hope that they reach enough people before we spiral ever deeper into mechanistic notions of “improved” existence. I believe we may yet be shown the light before we are destroyed by our ever-increasing concessions to convenience. There is nothing convenient about the end of our beautiful species. We’re fine just the way we are. We only need to realize it. The technology to do so is, and always has been, close at hand. Sergey Baranov is the founder of Huachuma Wasi, a healing center in The Sacred Valley of the Incas, Peru. He is the author of Path: Seeking Truth In a World of Lies, The Mescaline Confession: Breaking Through the Walls of Delusion and Write Your Zen in 30 Days. Sergey’s passion for life on Earth and its preservation is the driving force behind his work. You can contact Sergey at www.shamansworld.org.